If you have to deal with the stiffness, swelling and pain of rheumatoid arthritis or osteoarthritis, chances are that you know from personal experience that conventional medical treatments suffer severe limitations. There's no doubt that you can pop a pill and get temporary pain relief. But if that pill is aspirin, you will mostly likely get stomach upset, particularly after long term use. If it is either aspirin, or another form of non-steroidal anti-inflammatory drug, such as Tylenol, Ibuprofen, or Aleve, it will interfere with the growth of cartilage in your joints, which they must have to remain stable. And if it is an opioid narcotic like Vicodin or Oxycontin, you probably know about drug dependency and needing ever-increasing doses for pain relief, too. There is good reason to be skeptical of the use of immune modulators to treat rheumatoid arthritis, too. First, there is the price. If you get your prescription for Humira filled at your local CVS, and it's not covered by insurance, you will plunk down $5,678 for a month's supply, although they offer a coupon that brings the price down to a mere $4,981.05! Or you can get the same drug at Walmart for a mere $4,950.30. Even if you can get immunomodulator drugs paid by insurance, there is the matter of side effects. Drugs that keep your immune system from attacking your joints also keep your immune system from attacking germs and cancer. You may get relief for your joints only to have a greater medical nightmare waiting, caused by the use of the drug. Fortunately, there is another approach. Krill oil plays an important part in it, but the main reason to use krill oil is to make sure all your other efforts succeed. Here are the basic principle of easing arthritis with krill oil. Every cell in the human body can use omega essential fatty acids to generate and control inflammation. These fatty acids are called ‘essential' because our bodies can't make them, so we have to get them from our diet. We are mostly concerned with omega-3 fat, but omega-6's also have a huge role. The body uses omega-6 essential fatty acid's to make hormones that activate the immune system and generate inflammation. The body uses omega-3 essential fatty acid's to make hormones that regulate the immune system and modulate inflammation so it does not attack your joints. Healthy diet should provide more omega-6's than omega-3's, in a ratio of about 2 to 1. But because so many processed foods are loaded with GMO corn and GMO soybean oils and these products (and other seed oils) are loaded with omega-6 fatty acid's. Most people get their omega-6 fatty acids and omega-3 fatty acid's in a ratio of about 20 to 1. The overload of pro-inflammatory omega essential fatty acids fuels inflammation, joint pain and joint deterioration. Sadly, this is most people's normal. So the very first thing anyone who has arthritis should do, is to cut out foods that drive inflammation, like chips, cakes made from mixes, candy bars, margarine and sorry, bacon from pen-raised pigs (although free range bacon is fine). First it is necessary to cut out the excess omega-6's. When you do that, the next thing to do is to make sure you get your omega-3 fatty acid's. And the best way to get your omega-3's, is with krill oil. Why Krill Oil Is Your Best Source of Omega-3's? There are many ways to get your inflammation-fighting omega-3 essential fatty acids, but not all omega-3 essential fatty acids perform the same function. Not all omega-3 essential fatty acids fight inflammation. One way is to get your omega-3 essential fatty acid's is to eat flaxseed (ground into flaxseed meal, or your digestive tract can't break it down). 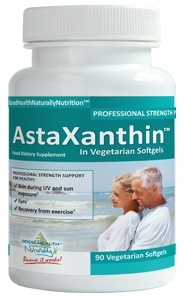 That gives you a supply of a fat called alpha-linolenic acid, or ALA. Your body can burn or store ALA as body fat (about 80% of flaxseed oil goes into this metabolic route), or use to make an omega-3 it can actually use called docosahexaenoic acid, also known as DHA. However, it isn't DHA that fights inflammation. It's yet another omega-3 essential fatty acid called eicosapentaenoic acid, or EPA. The ALA that is transformed into DHA has to be transformed again into EPA. Each time, only part of the original oil comes out as the desired product, and 80% (in women) to 95% (in men) of ALA doesn't do anything to fight inflammation. Moreover, flaxseed oil contains some omega-6 fat too, so it both fights inflammation and increases it. Flaxseed oil is not the best way then, to get your omega-3 EFA's. Microalgae is a great source of DHA, but it contains no EPA. Your body has to transform that DHA into EPA to stop inflammation, although the process is a little faster than it is with flaxseed oil. Still, microalgae is really a product that is best used by women during pregnancy, when they have high estrogen levels, which increase the yield of EPA from the DHA in the product. 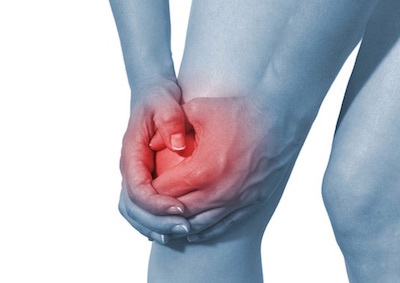 Both krill oil and fish oil contain the EPA your body needs to regulate inflammation to protect your joints. But fish oil can contain a lot more than just omega-3's. The fish that are harvested for oil are predators; they eat other fish. They concentrate mercury and other heavy metals. Most, but not all of the companies that make fish oil have processes to remove the heavy metals, organochlorines and other ocean pollutants, so it makes more sense to use the product that is low on the food chain, krill. With krill oil, you get EPA you need without the contaminants you don't. But that isn't the only advantage of krill oil. Fish oil gives you the right omega-3's, and if you are careful about what you buy, no contamination. But krill oil gives you the right omega-3 fatty acid's if you suffer with arthritis, without contamination, and it contains other components that are a real benefit for the health of your joints. Hyaluronic acid. It's bad when the cartilage around your joints breaks down. It's even worse when it is replaced by scar tissue. The hyaluronic acid in krill oil helps keep joints flexible even when swelling is a daily problem. Phospholipids. Krill live in Antarctic waters that sometimes actually chill to less than 32 degrees F/0 degrees C, due to the salt in the water. They have developed a kind of ‘antifreeze' known as phospholipids. Your joints can use the phospholipids to make cartilage. Krill oil helps to relieve the symptoms of gout, another form of arthritis that normally effects the big toe of middle aged me, or anyone who has indulged a high fat, high alcohol consuming lifestyle. It's not a bad idea to take glucosamine and chondroitin, too. But even if you don't, evidence suggests that more than 60% of users of krill oil get significant relief from arthritis pain. And about 50% have no pain at all after 28 days. How Much Krill Oil Is Enough if You Have Rheumatoid Arthritis or Osteoarthritis? A dosage of just three capsules of krill oil every day is enough to help relieve symptoms of arthritis. 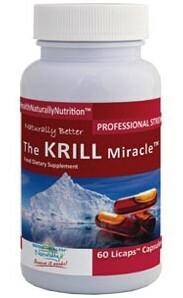 Because krill oil is processed without the ‘juices' that are found in fish oil, it comes in smaller capsules. They are easier to swallow, and they won't make you burp, because krill are cold-harvested and stored at their natural, near-freezing temperature all the way to the processing plant. It is always a good idea to take krill oil on an empty stomach. Alcohol can destroy its omega-3's. And don't forget, it's not all about taking krill oil. Cleaning up the rest of your diet and keeping snack foods to a minimum, is the other essential part of regenerating your joints naturally.